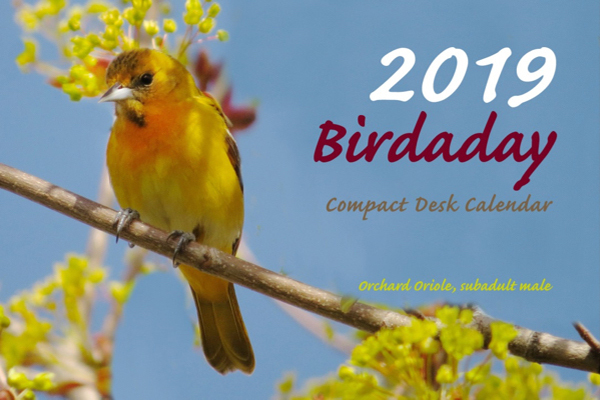 Birdaday 2019 is my 15th calendar of bird photographs from the Northeast of North America. On this year's cover is a subadult male Orchard Oriole, in a another year he'll sport an all dark head and a rusty orange breast. Compact 4x6" desk calendar comes in a clear folding display case. © Phillip Augusta. All rights reserved.